As is often the case, I’m a day (10 days?) late and a dollar (more than a dollar, but who’s counting?) short. It was my intention to post this recipe on St. Patrick’s Day, but my good intentions got blasted by real life. And snow. And spring skiing. These tasty treats should actually be called gluten-free, Scotch-Irish, wild-west, Montana oat cakes. I know that’s a mouthful, but so are these hearty little cakes. 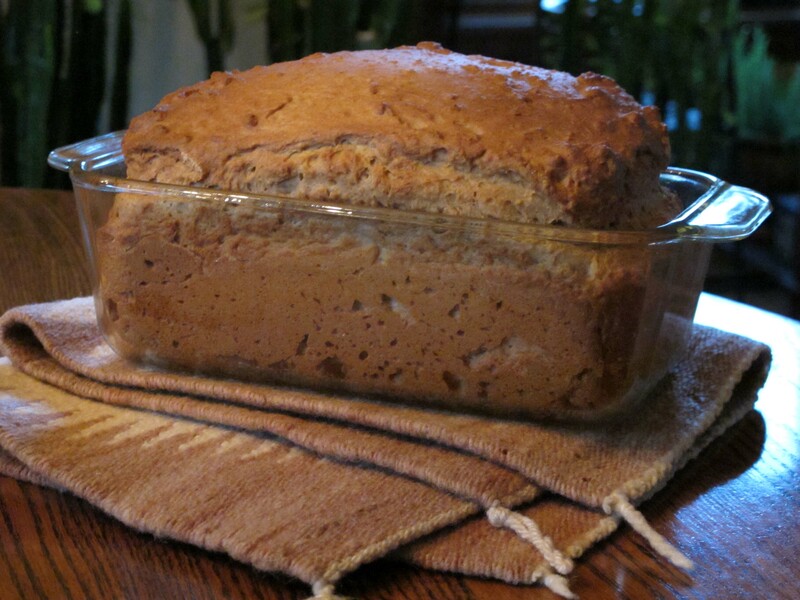 I’m always on the lookout for bread substitutes and this recipe hit the spot. First, let’s deal with the controversial “oats” question. Should people with gluten intolerance eat oats? Maybe, maybe not. Here’s my take on it, but remember I’m a celiac-specializing nutritionist, not a celiac-specializing lab researcher/doctor. I do have celiac, so that makes me a bit of an expert in my own little bio-world, but everyone is different. What works for me, may not work for you. Current research shows that pure, uncontaminated oats in moderate amounts are safe for most people with celiac disease. The key word here is “most.” Some people don’t tolerate oats at all and others, not used to the high fiber load, experience digestive problems while getting used to them. Check with your health care professional first and then start with a small dose (1/4 cup before cooking). Try a bowl of gluten-free, hot oatmeal once or twice the first week and see how you do. Oats are a high-fiber, nutrient-dense, hearty cereal grain. They contain a specific fiber called beta-glucan, which studies show helps lower cholesterol and enhance immune function. 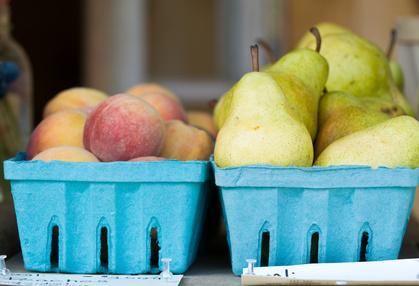 Most Americans don’t get nearly the fiber they need and oats are a great way to boost intake. They’re also high in vitamins, minerals, are packed with bioavailable antioxidants (Journal of Nutrition) and they also help maintain blood sugar levels. They’re perfect for people with diabetes or metabolic disorders and are rich in manganese, selenium, tryptophan, phosphorus, thiamin and protein. Plus, they taste good. I love oats, absolutely love them. Blah, blah, blah. I don’t want to bog you down with geek talk, but trust me, oats can be a healthy addition to anyone’s diet (almost anyone). As I said above, proceed with caution if you’re gluten intolerant. 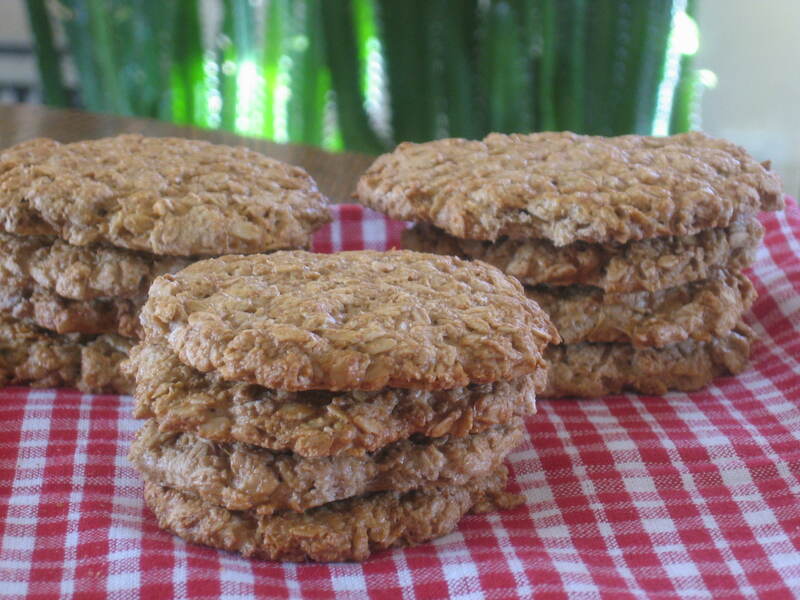 I found several recipes for oat cakes and most were very similar. I tested three and found this one, taken from Vegetarian Times Magazine, worked the best. I “tweaked” it just a touch. 1. Preheat oven to 325 degrees. Oil a baking sheet. You can also use parchment paper or a silicone baking mat (which I used). 2. 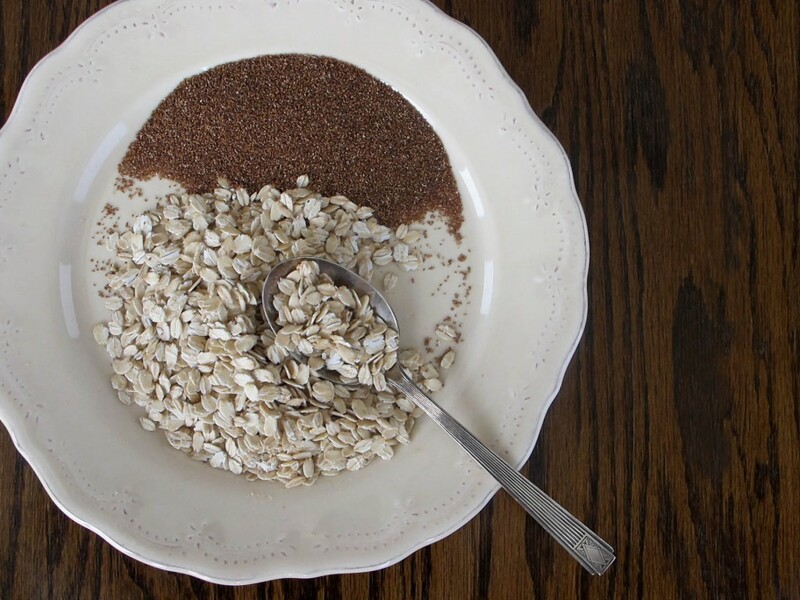 Mix together oats, brown sugar, baking soda and salt in a medium-sized bowl. 4. Add oat mixture and then buttermilk to the oat flour/Earth Balance combination and combine until well blended. 5. Using an ice-cream scoop (or about that amount), work the mixture into a flat patty about 1/4 inch thick. You may need to dust your work surface or your hands to shape and flatten out the “cake.” Work with them and add a tiny touch more flour if you think they’re too wet to shape properly. Be careful though, you want them moist. My pre-baked patties ended up about the size of a rice cake, but a lot thinner. 6. Place them on the prepared baking sheet about an inch or two apart. Bake on center rack for 15 minutes and then rotate the pan for even baking. Continue baking for another 5 to 15 minutes. I baked mine for almost 30 minutes, but the original recipe called for 15 to 20 minutes. They should be a nice, light golden brown. 8. 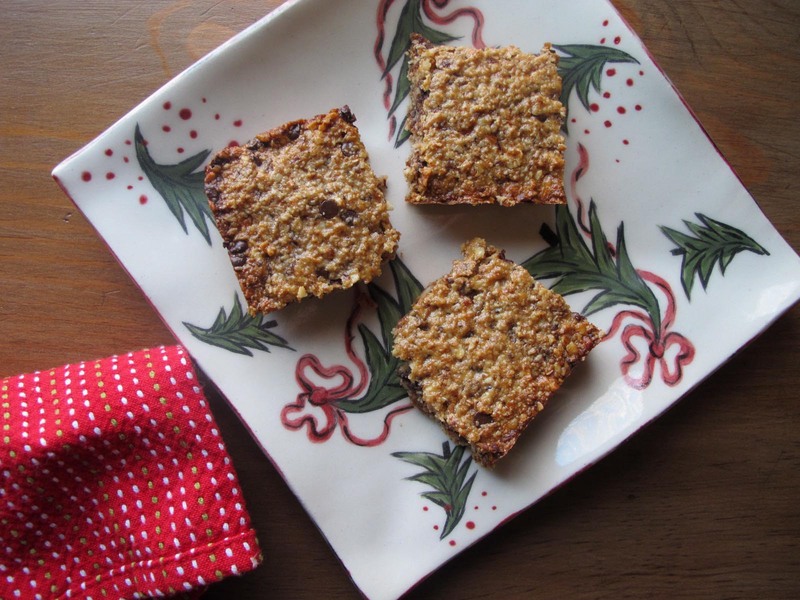 Serve with peanut butter and honey or jelly, just like you would a rice cake. YUM! They make a perfect “holder” for all kinds of good things (almond butter, cheese, etc.). Be creative! * I use Montana Gluten-Free Processors pure and uncontaminated oat products. They’re tested and certified GF and kosher. Check here for details. * One of the best ways to mix butter or shortening into flour is to freeze it first and shred it into the flour mix with a cheese grater. I always have butter and shortening on hand in the freezer and ready to shred. It also works great in pie crusts and crumble toppings. Cheers and happy late St. Patrick’s Day!